I’ll make it easy for you up front – there’s three likely audiences for this book, and I’m assuming that you fall into one of them. First, you’re a huge fan of LEGO and able to accept buying a book instead of a set. (A challenge, obviously.) Second, you’re buying for someone who’s a huge fan – maybe someone who’s had to explain their fandom more than once. Third, you are a lapsed LEGO fan who’s likely to get over any sort of adolescent delusions about disliking LEGO and ready to recover one of the biggest parts of your childhood as you make your way as an adult. The Cult of LEGO is laid out over the course of a dozen sections, ranging from the history of the product to “serious” uses of it, from art done as 2D images and 3D sculptures (some communal!) to digital simulations of the building experience. Each section has a handful of subdivisions, and all feature an essay which provides readers with more material to consider. And each section offers many, many images as examples and exemplars of LEGO construction. Some of the sections are genuinely insightful or inspiring. Yes, some of the inspiration is due to the quality or scale of the builds. (As a fan of the “Blacktron” line of LEGO from the late ’80s, the “Blacktron Intelligence Agency” project by Brian Darrow shown on page 202 works overtime to make me jealous.) Much of the inspiration, though, is from the discussions and their juxtaposition with the images. The sections on LEGO Art or on therapy for autistic children are particularly effective. The ordinary, everyday quality of LEGO in our worlds offers new ways to challenge and meet the world, after all. You’ve all heard about the LEGO concentration camp, no? It gets discussion here. Have you ever considered that the work of organizing pieces or rebuilding minifigures could be therapeutic, though? Delve inside for an introduction to this, among others. The essays are pleasant enough to read, though they’re solidly in the “survey text” end of the spectrum rather than in the “focused monograph” section. Nothing is too long, and everything is easily tackled in small increments. If there’s to be any knock on the text, it is for the layout – whenever two columns are used, the gutters between them are tighter than the margins on a freshman research paper that’s 50% over the word count limit. It’s legible for reading, but it’s problematic for rapid-fire skimming. But these minor quibbles aren’t enough to diminish the effect and accomplishment of this fine book. 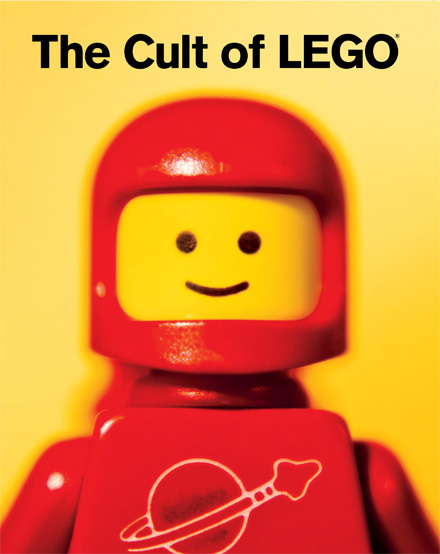 Whether it’s for yourself or for the LEGO fan in your life, The Cult of LEGO is more than worthy of your time and attention. Baichtal and Meno have taken on a diverse and ever-changing demographic and provided readers with an excellent overview of what it has to offer.